Die-hard celluloid advocate Quentin Tarantino is issuing a challenge to fans yearning for their semi-annual fix of garish violence and witty repartee: If you want to see The Hateful Eight on Christmas Day, you’re going to have to find a movie theater that actually employs a skilled projectionist. 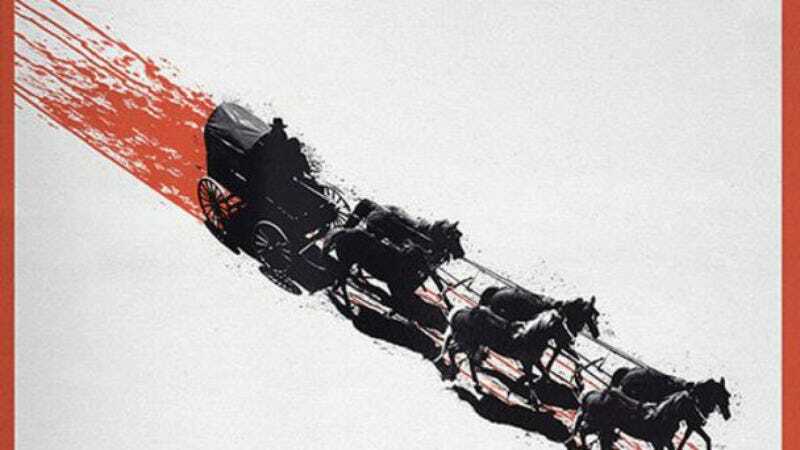 The Weinstein Company has announced that The Hateful Eight will debut exclusively in ”crazy beautiful” 70mm on December 25, followed by a wider digital release two weeks later on January 8. That’s significantly longer than the two days Interstellar played exclusively on celluloid before its wide release last November, and even more restrictive, as even fewer theaters are equipped to play 70mm than the once-standard 35mm. So the decision to roll the film out early in 70mm—the widest release in the format in more than 20 years, according to Deadline—is a strong statement of anti-digital intent. Theater owners are likely already grumbling about it, but Tarantino doesn’t care. He’s too busy bouncing in his theater seat with movie-nerd glee.